SKY is an institution of universal knowledge with logical and scientific approach. We respect your privacy and only use your data to contact you about your enquiry. 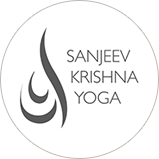 Welcome to Sanjeev Krishna Yoga, Dubai. Are you looking to Join SKY or have any questions?